Please take off your shoes at the entrance of the facilities. Men and women have separate bathing areas. Please take off all clothing in the changing area and lock it in a locker. Take only your small towel and bathing items into the bathing area. Do not let your towel enter the water (it will dirty the bath). Please wash off at the shower stations before entering the bath. Be aware of people next to you; don’t splash or spray people around you. There are many hot springs in Shin-onsen. 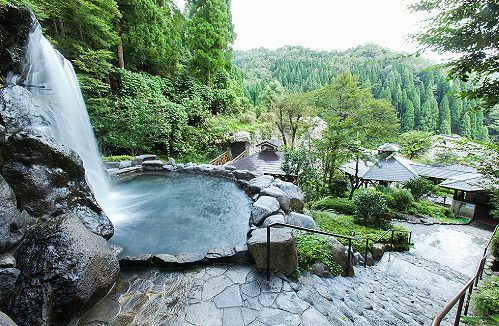 You can leisurely enjoy all of the onsen that Shin-onsen has to offer, or you can visit a personal favorite over and over again. 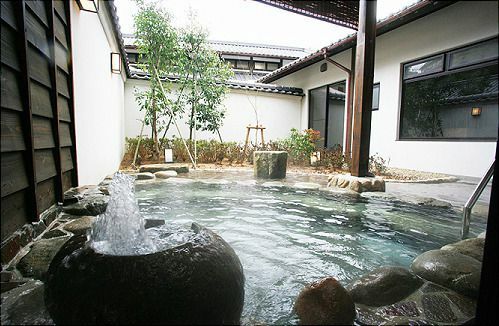 Yakushiyu, is a natural hot spring know to enhance one's beauty. The minerals in the water help promote metabolic stimulation and makes your skin smooth. This particular onsen is equipped with open-air bath and sauna, and is often crowded with both locals and visitors. Refresh Park Yumura is a natural hot springs park, which makes use of the source of Yumura Hot Springs. It is equipped with 5 kinds of open-air baths (Four seasons bath, Waterfall bath, Sake barrel bath, Steam bath, Stone cave bath). 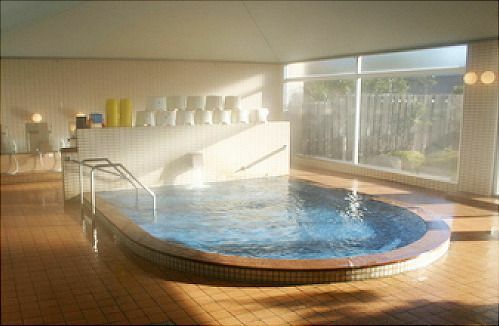 In addition, 8 kinds of health-promoting baths and a heated swimming pool is available all year round. Please wear swimsuits in all facilities. 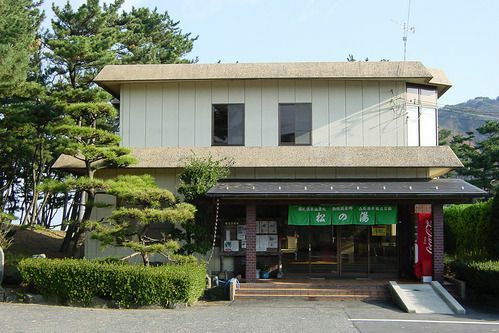 Yuraku-kan is a public bathhouse in which 100% of it's water comes from the first hot spring discovered in town. It is filled with the gentle wind and fragrance of the nearby ocean and trees. The open-air bath that was origin of the name Shichikama, and "Kotatsu irazu no onsen" (onsen as hot as a kotatsu) are popular. The hotel prepares food using locally produced, high-quality ingredients chosen according to the various seasons. 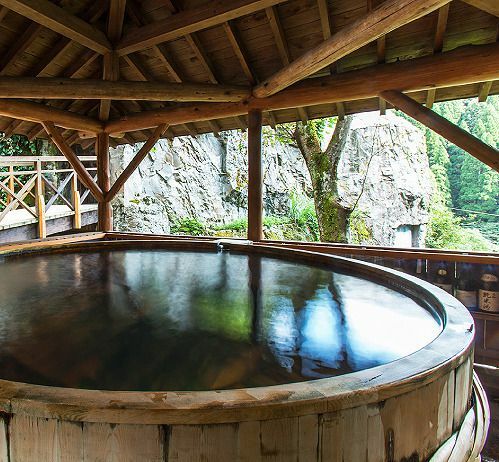 At Utopia Hamasaka it is easy to experience the natural hot spring water of Hamasaka. This particular facility, located near the Hamasaka Prefectural Sun Beach, is surrounded by beautiful mountains, rivers, and ocean. Here you can enjoy various sports such as swimming in the summer and skiing in the winter. The large public bath and jet bath can fully rejuvenate your tired body. You can also enjoy karaoke, a training gym, games, and a souvenir shop which sells specialty products. Matsu no Yu, a simple inn with a hot spring bath, is located inside of picturesque pine garden called Matsu no Niwa beach that has been selected as one of Japan's 100 most beautiful white sand and pine tree beaches. The facility is also open for public use. “Refresh Park Yumura” has a mixed bathing area where swimsuits are required. Men and women can enjoy the facilities together. 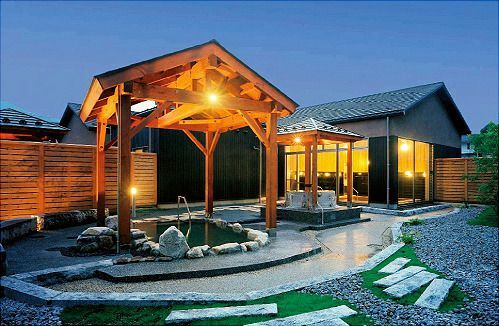 “Refresh Park Yumura” has Japanese style bathing facilities and a 25m heated pool. You can enjoy the famous Tajima Beef in the neighbouring “Restaurant Kaede”. 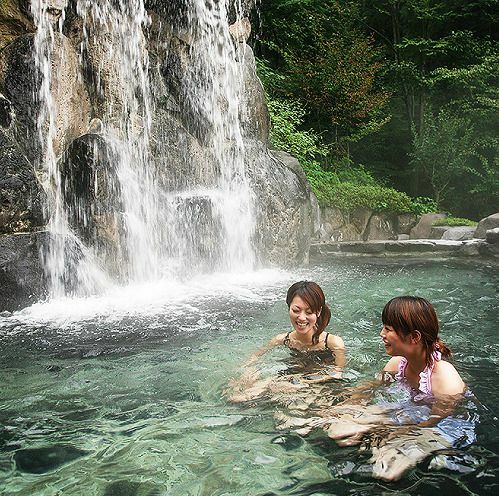 Visit Shinonsen >Attractions	>How to enjoy the "onsen"